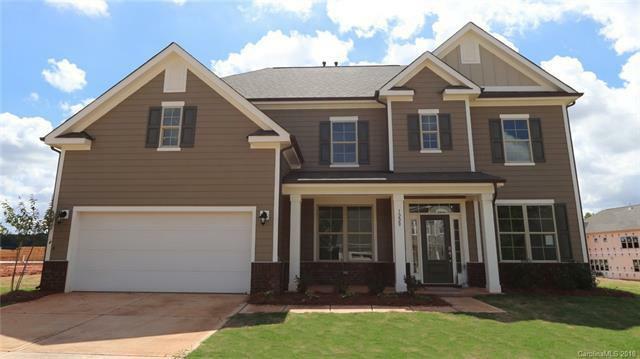 Plenty of room in this beautiful Bridgeport plan close to community pool! Main level offers formal dining and study and 5th bedroom/full bath. Chef's kitchen includes granite counter tops, SS appliances (gas range), over-sized center island and 42 inch cabinetry. Second level owner's suite with tray ceiling, tile bath with separate tub/shower and dual vanities. Large walk in closet. Flexible loft and three additional bedrooms, all boasting walk-in closets, finish second level. Ample storage throughout. Ready Now!